Come visit the Center for Celtic Studies at the Fall Semester Kick-Off Céilí on Wednesday, September 26 from 6:00 – 8:30pm! 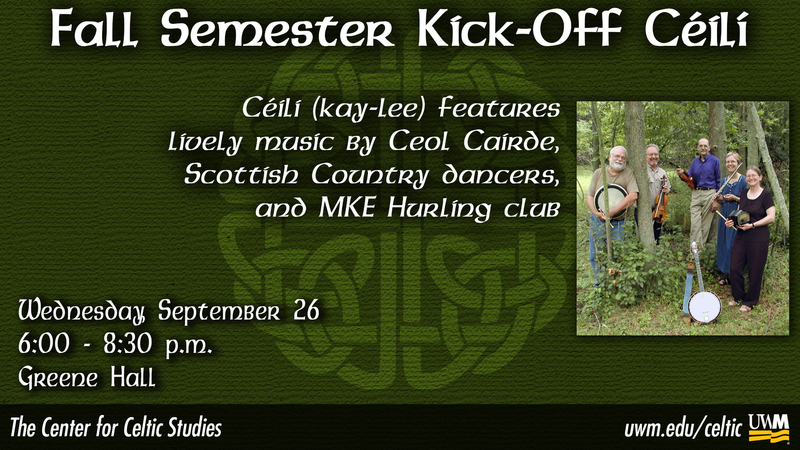 Céilí (kay-lee) features lively music by Ceol Cairde, Scottish Country dancers, and MKE Hurling Club. Drop by Merrill G42 on Tuesday 4-5:00 pm for our Open House! Meet and mingle with fellow students and CCS faculty.